Former pensions minister, Steve Webb, caused a stir at the weekend when suggesting an end to the tax-free lump sum that can be be taken from pensions may be announced in the Budget on March 16th. 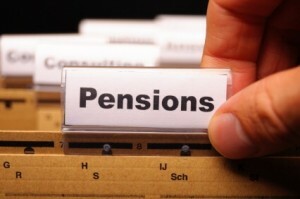 The comments have led to confusion, with many individuals with pension pots evaluating whether to take their 25% tax free-lump sums now, rather than risk being adversely affected by changes to the rules next month. The former minister later clarified his statement, suggesting that any changes to the pension rules are most likely to impact future saving systems rather than pension money already accrued. Many pension experts also predict that if changes are about to be unveiled, it is highly unlikely the Chancellor will target existing policies, however, the landscape going forwards may differ somewhat. If you would like to find out more information about the potential implications on your personal finances, or make an appointment to work out the right pension strategy for 2016 and beyond, please call us 0800 731 7614 or e-mail enquiries@fpgonline.co.uk.